Today we have a special guest on DataChant. Meet Charles Webb (LinkedIn here). Charles helps organizations compete and operate more effectively through process optimization, technology modernization, strategic advisory, and analytics. Follow Charles in his blog, Webb Insights. NetSuite is a suite of cloud services that helps customers manage financials, operations and customer relations – providing integrated ERP, CRM and eCommerce functionality in one tightly knit solution. The ability to connect NetSuite to Power BI is a common, highly requested idea on the Power BI ideas website, collecting literally hundreds of votes. 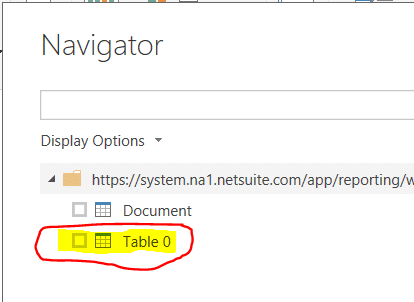 As such, there is very little information available regarding how to connect NetSuite to Power BI. While you can easily export and visualize static reports or saved search results, there are two more elegant alternative solutions that connect NetSuite to Power BI by automating data refresh. You’ll want to follow the documentation from NetSuite, download the driver and then configure your ODBC connection according to your system information and credentials. Next, you’ll need to connect NetSuite to Power BI via the ODBC connector, write Oracle SQL statements against the driver, retrieve and model the data. If this sounds a bit daunting, it is – you should leverage an expert who can help you understand and create an adequate semantic model according to your data and visualization requirements. Often, this is a technically skilled resource with expertise in NetSuite who will help you write and fine tune queries to pull the data you need and model it appropriately (transactions, lookup tables and so on) to optimize your data for detailed analysis, filtering and drill down capabilities. Remember – flat tables with blanket select statements are NOT best practice. Instead, choose specific columns, leverage lookup tables and perform as much ETL work as you can closest to the source. Following this work you’ll of course need to visualize your data. I recommend following best practices outlined in Storytelling with Data. Automating the refresh of your data requires two things, a Power BI Pro subscription and the On-Premise Data Gateway. Luckily, ODBC is one of the supported data sources for scheduled refresh. When you’re ready to publish, you’ll want to configure your on-premises data gateway to refresh data using your ODBC connection. Finally, setup the desired refresh cadence and voila – your reports are ready for showtime. If following the previous method sounds difficult, again, it can be. 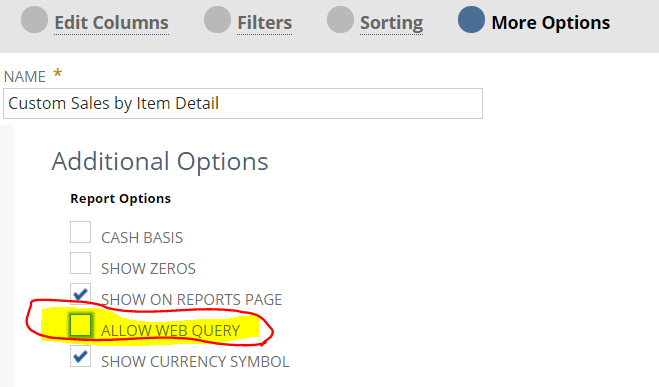 However as the title above for option two may suggest, there is an easier way to get report data from NetSuite, visualize it and share it with teams. Note however, that this method can be only used for reports. This is a great option of you want to blend report data with information outside of NetSuite, utilize advanced analytics or present data to people without access to NetSuite. 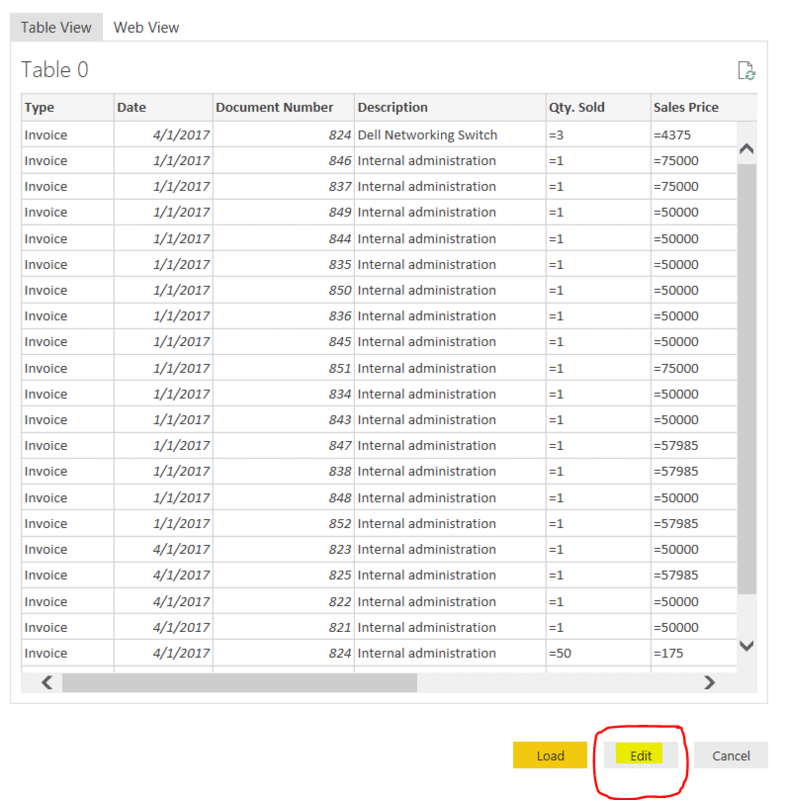 In the tutorial below, I’ll walk you through how to connect to Power BI desktop and show you a potential end result. with just your email address in the format: [email protected] – no brackets necessary. To test to see if this is successful, copy and paste the text in a browser. It should return a table rendered in HTML format. This is exactly what Power BI was made to ingest. Save the URL in a handy place for use later in this tutorial. 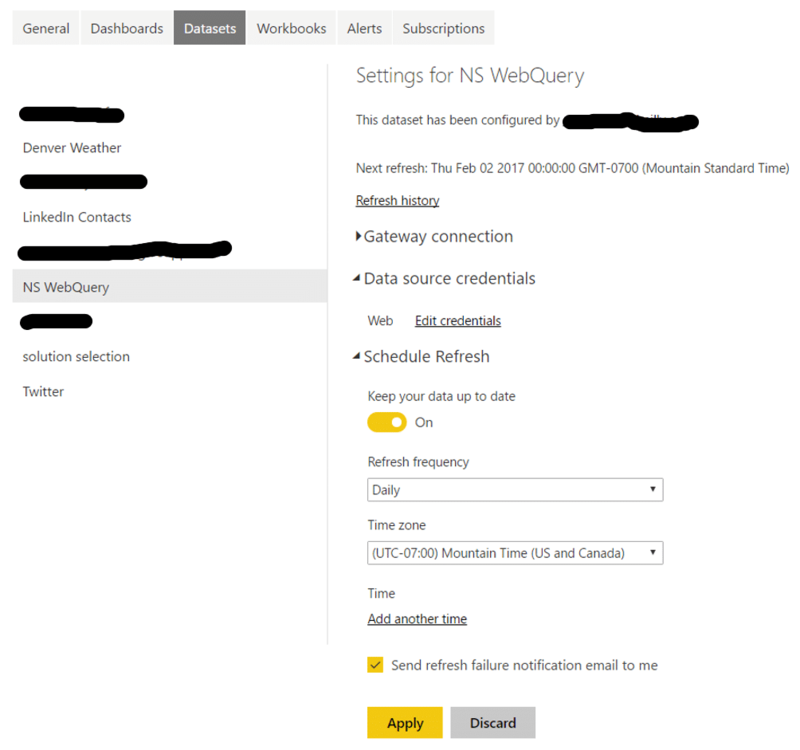 Now, we are ready to connect NetSuite to Power BI and view this report. 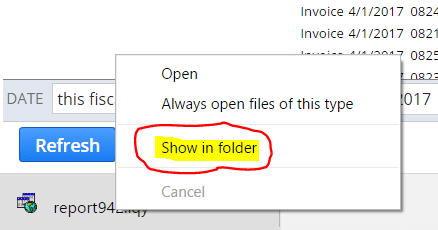 To do this, if you have not already done so, download Power BI Desktop. Ensure that the data rendered matches the data you want to import into Power BI Desktop. If so, congratulations – you have managed to connect NetSuite to Power BI. Now, click the Edit button to make a few quick transformations to the data. The Query Editor in Power BI Desktop, shown below, allows you perform several data preparation tasks without code. 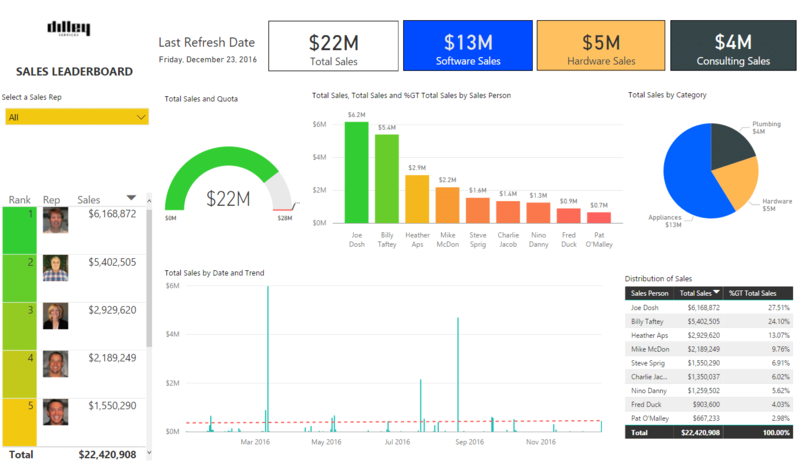 A quick sample report I put together using a demo account in NetSuite and Power BI. Both will utilize the On-Premise Data Gateway. Connecting NetSuite to Power BI is a great starting place for data-driven storytelling and analysis. Further your analysis journey by coupling visualizations with Power BI features such as Export to PowerPoint, Email Subscriptions and Alerts to create additional value for both technology assets. Do you know if are size limitations? I’ve tried using this method for a transaction register which can be a large query and have encountered some errors.